Virginia weather has been so bad, I barely walk around our lake with two rods. 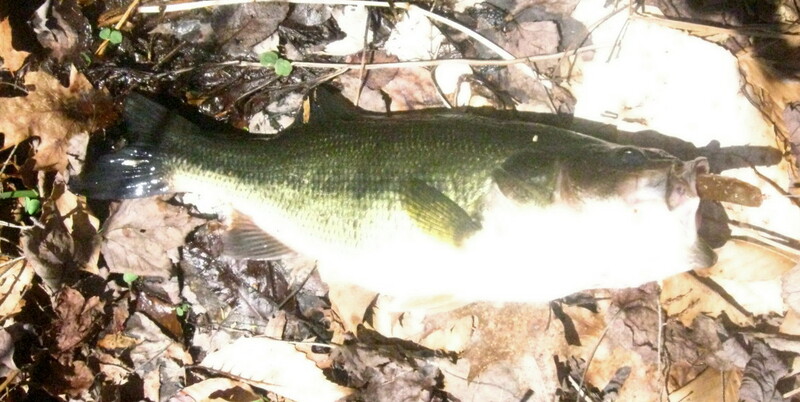 Not a bite, given ratl-traps, crawdads, swimbaits, lizards, spinnerbaits, crankbaits. I have been skunked so often I am beginning to smell. So for the CT trip, I didn't even pack a single lure or gimmick. I traveled naked. With the weather in CT just as iffy as VA, I sat and watched a DVD on fly fishing -- which got me out to a small pond later that afternoon to check out my casting. Must have spent an hour working on false casting (hopeless) and roll casting (my go-to cast.) As the sun was going down, I hit on 14 sunfish, and almost had a bass, as it tried to swallow one of the smaller sunfish I had hooked. I had no idea bass could be so clever -- for a 12"-er; he waited right under the bridge, guessing that I would be buying him dinner. After I gut-hooked a small one, I tossed it to him and down it went, head first. Today the beach nazis were out and I could no longer cast to where the fish were, but away from the beach. 30 knot winds didn't help. 1 1/2 sunfish. Decided to work upstream and could not believe a school of (relatively small) bass were eight feet below. Besides stumbling down into a well-camoflaged swamp, losing one of my Cabela's shoes for a minute, I had barely a 2-foot opening among the reeds to clear a rod tip. First cast, first bass -- a fat 14"-er.